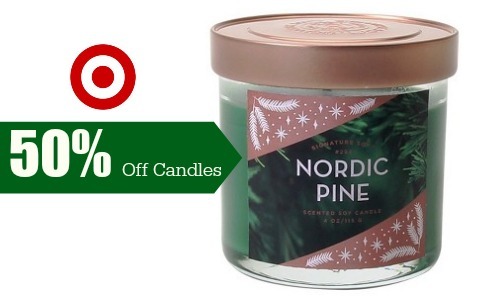 There is a new high-value Target Cartwheel coupon that can help you save 50% on all jar candles at Target. Candles can make great gifts or stocking stuffers, plus this coupon does not exclude Clearance! Offer valid through 12/7. Excludes candles not in Home Department.